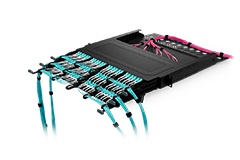 24-port Cat6 patch panel for high density and easy patching solutions in data centres. 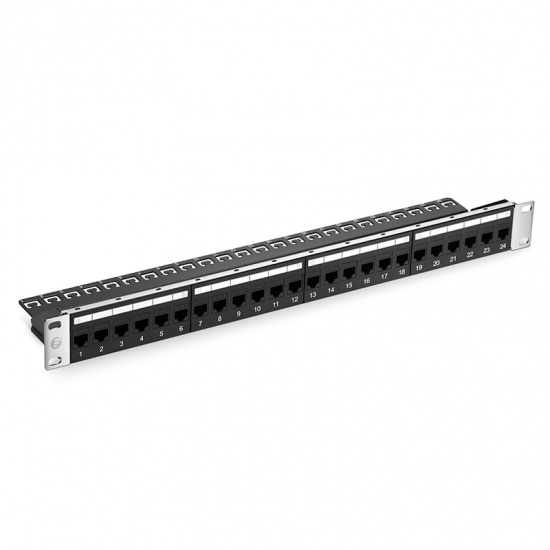 The Cat6 Ethernet patch panel is designed for use in 19” racks and ideal for copper Gigabit Ethernet (1000Base-T) applications. 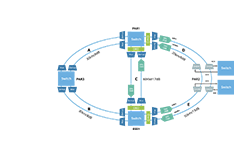 It bundles the networks together to connect incoming and outgoing lines and improve the organisation of a wired network. 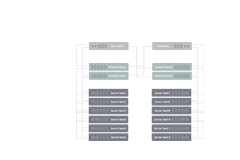 The clear numbering on the front and back of the network patch panel enables quick and easy identification of cable runs, and the detachable cable management bar keeps Ethernet cables neat and tidy. 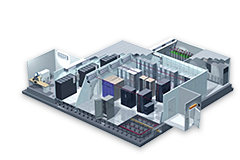 FS has passed many quality system verification, like ISO9001, RoHS, established an internationally standardized quality assurance system and strictly implemented standardized management and control in the course of design, development, production, installation and service. Easy to install, quality piece. 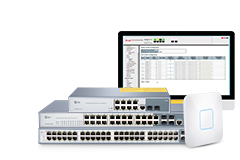 No problems or lags on the network. 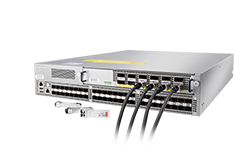 I have bought some patch panels from FS.COM before. 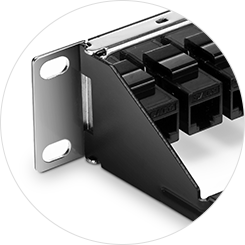 Recently, I happened to find that they changed the material of the patch panel from steel to SPCC. I checked the datasheet and found that the new material is harder than before. 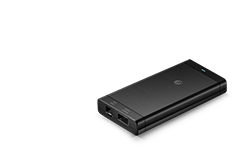 I have placed the order and hope to get the parcel soon and test it. I have purchased several of these now. The patch is a must for any rack. They make everything look clean and professional. They are easy to install and use. 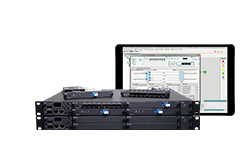 I will never cable another rack without installing the patch. Was exactly what i was looking for to clean up our server rack. 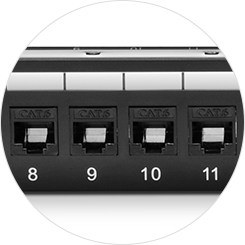 Cat6, RJ45 connections in the back that pass thru to the front. Allowed all the equipment (sever, cable modem) that has connections in the rear of them to be connected into the back of this panel and labeled before getting connected to the switch. 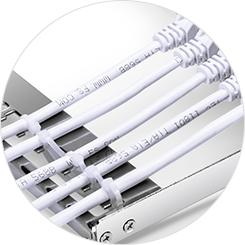 Its a in-rack patch panel that you dont have to cut cat cable and punch down. Gives me much more flexibility for adding new equipment. Out of the box initial impressions. 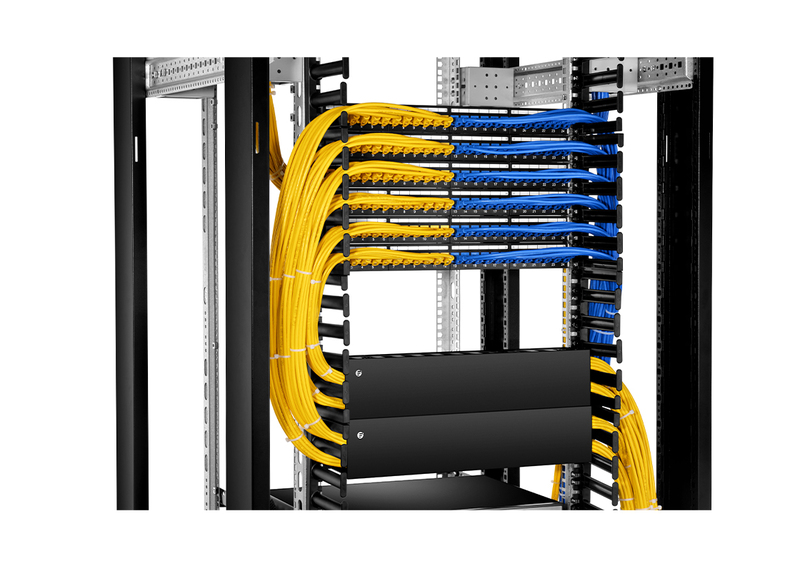 The patch panel assembly looks very well made, fit and finish on the whole thing is clean, smooth and consistent. There are no rough edges, finish runs, or thin spots, no orange peel to the finish, no casting irregularities to the plastics, none of that.